From the fourth month of life, the baby can start complementary feeding. Others wait until the baby is six months before food is introduced. If you are not sure when to start feeding your baby foods other than breast milk, always consult a health care professional. The goal of introducing foods to babies is to provide them extra nourishment that are imperative for the child’s health. 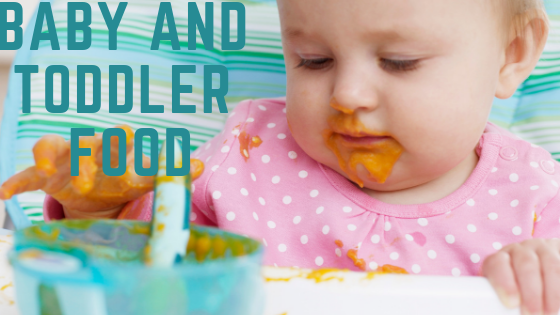 However, there are things that you have to remember when introducing new foods to your baby. n Remember that your baby is only accustomed to sucking reflexes. At first, your baby may spit food out. This is normal. It is important to give her small amounts of food each feeding. During your first attempt, your baby may not seem interested at all. Be patient. n Always throw away left-over food. Even if you offered your baby food the first time and she has rejected it, do not’ save it for later. If saliva has gotten to the food, bacteria may grow. n Since your baby does not know how to chew, offer her cereals. Soon after, fruits and vegetables can be introduced, in all cases, in the form of well-mashed porridge. Boil the vegetables and mash them with a fork or use a blender. Clean boiled water, breast milk, or formula can also be added to make it a soft puree. n It is recommended to feed babies in small quantities. The important thing when introducing foods is for the baby to discover and accept the flavors and textures of different foods and not to eat a lot. Little by little, the amount of food can be increased. Remember that breast milk or formula is still the main food until the baby reaches one year of age. n Do not stress yourself preparing complicated dishes. Your baby won’t appreciate it. Just keep it simple. Boil, mash, and puree are the things you have to remember. n Wait for a few days before you feed your baby with new food to determine if she will develop an allergic reaction. n The best time to offer baby solid food is mid-morning. It is wise not to offer her new solids at night time because a bad reaction may lead to fussy baby and sleepless night. n Feed your baby using a spoon and not from a bottle. n Serve food at room temperature. n Feed your baby fresh meal every day. You can meal prep and freeze it but make sure to take the chill off the meal. Place the meal over hot water and cover it. Check before serving. n Avoid adding sugar and salt. In general, it is recommended to introduce these foods to the baby at the given timeline. 9 to 12 months: Yogurt and Vegetables. 10 to 12 months: Egg. Think of your baby’s future eating habits. It is important that parents will help their babies develop an eating routine that promotes normal and healthy development.